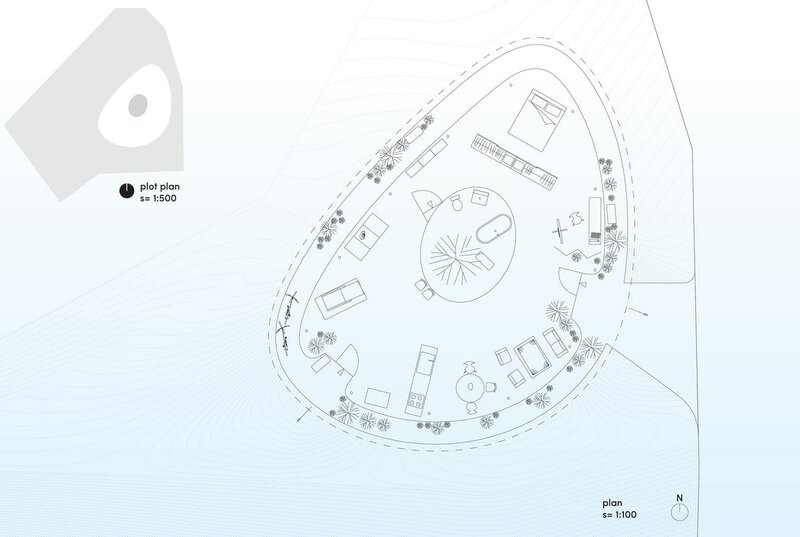 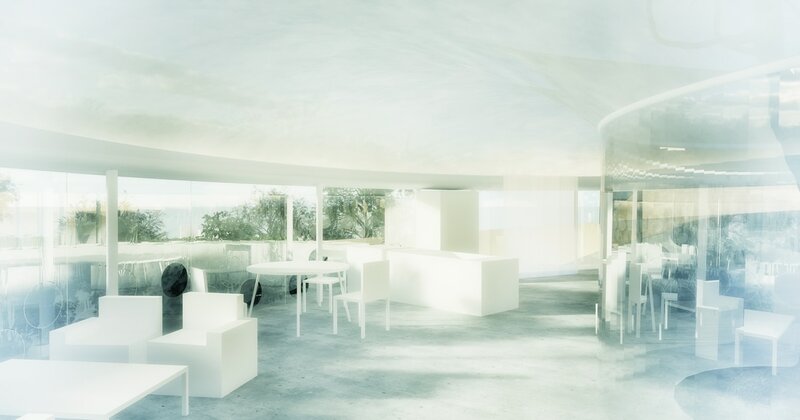 The Last House is an experimental house for the near future. 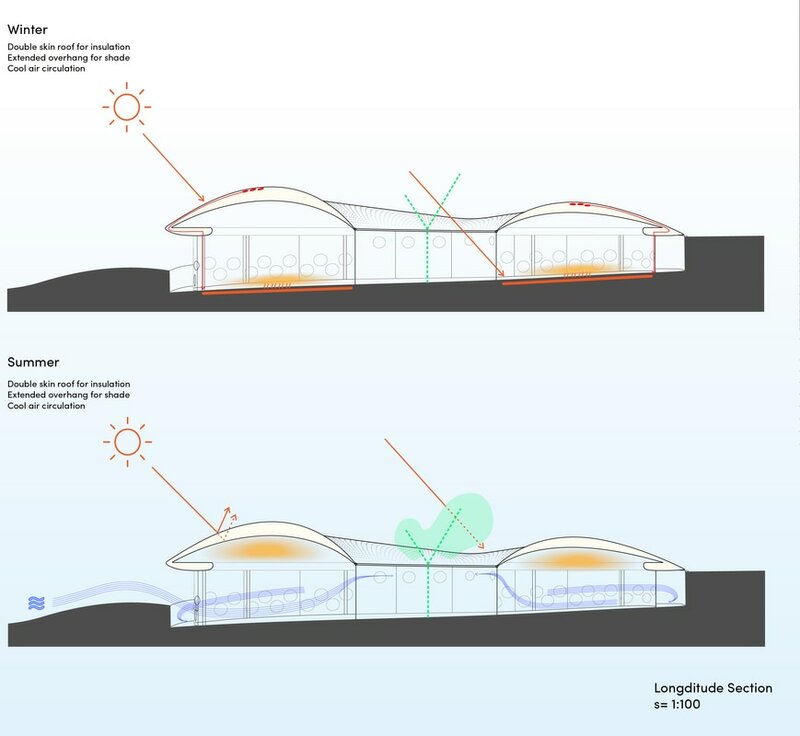 The Last House uses a combination of traditional technique and emerging technology to form a double skin roof. 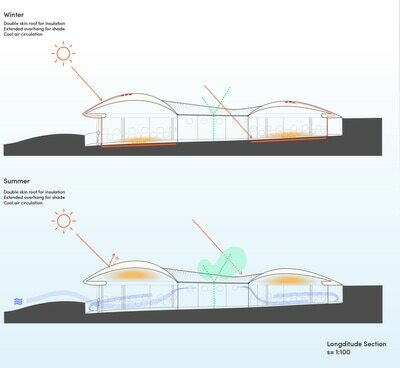 The Last House favors the use of passive technology systems that work in harmony with the site. 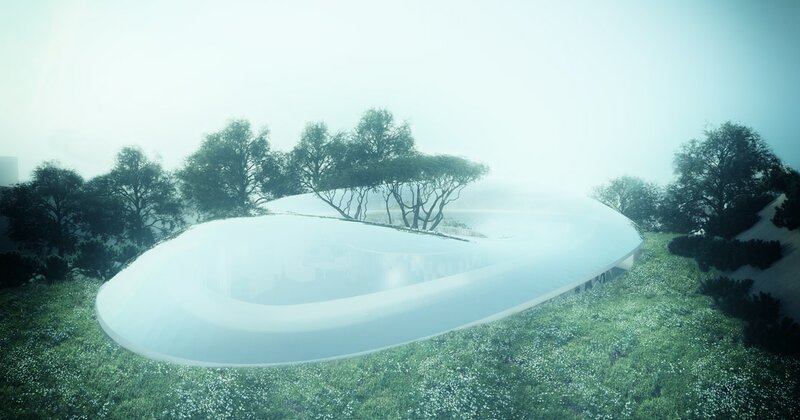 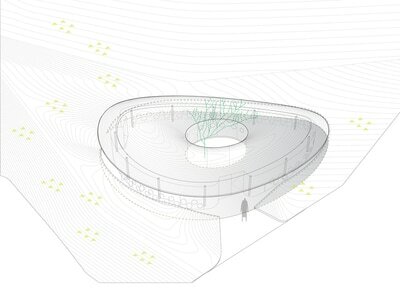 The structure is nestled into the landscape to reduce exposure to heat and maximize cool air flow. The natural slope is embraced and used to define space in a house with no walls. 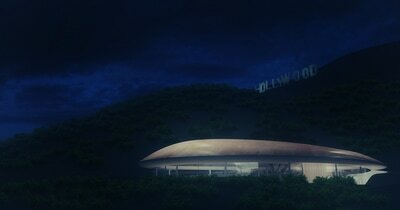 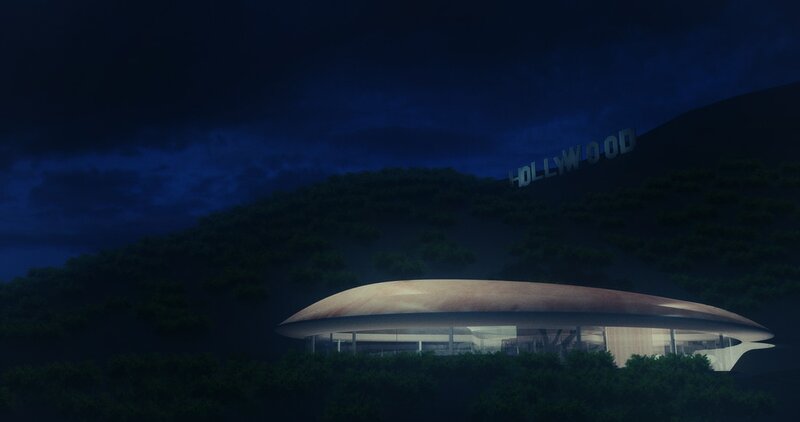 The last house seeks a minimal impact upon its environment, yet a noticeable silver of light below the Hollywood sign.